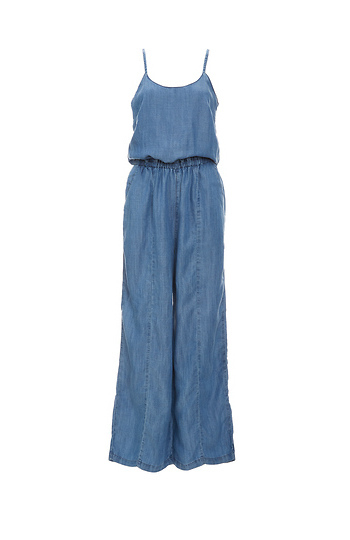 Add a little spice to your brunch date look in this easy denim jumpsuit! Includes adjustable straps & V-back. Length: 58in., Bust: 32in., Waist: 24in., Hips: 20in., Inseam: 28in., Rise: 12in.